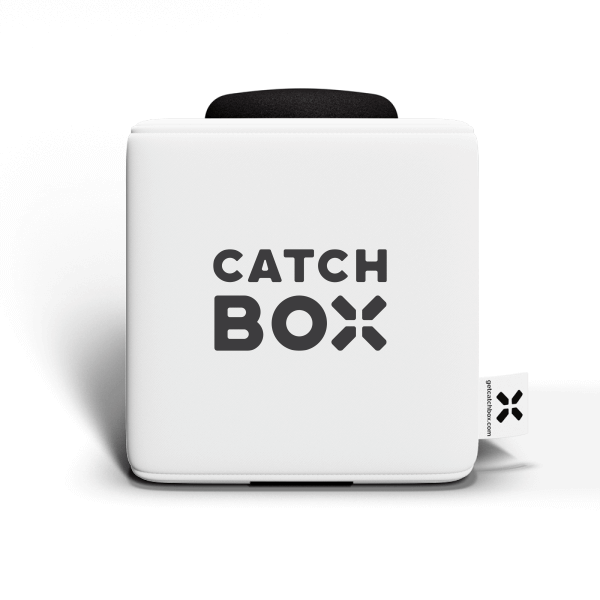 Catchbox Pro is a module that converts a wireless transmitter* into a throwable microphone using its built-in microphone and Active Automute electronics. 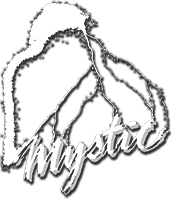 This means it is easy to integrate with any event that already has a working wireless microphone setup. 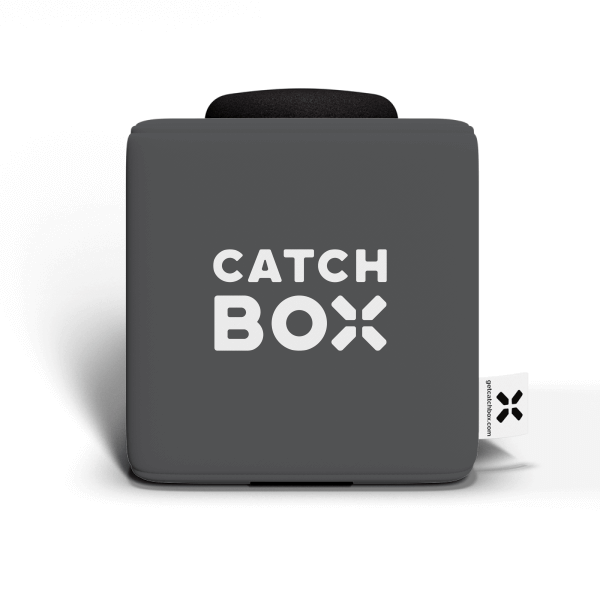 Users simply connect their existing beltpack transmitter into the Catchbox Pro’s built in mic. Catchbox Pro is compatible with the leading brands of wireless microphones – Sennheiser, Shure & AKG ensuring that it works flawlessly with your existing network. The Catchbox senses motion of the device and temporarily switches off the audio when the Catchbox is caught, thrown or dropped. Catchbox Pro comes with an integrated omni directional mic element that has been optimized for audiences & speech. The Catchbox is constructed from light but durable foam that ensures neither your equipment or audience need worry about damage. The outer cover repels dirt and stains and is ultimately replaceable to ensure a long lifespan. Make your Catchbox part of your branding with covers that can be customized with your logo, colour or event theme.